On sale! 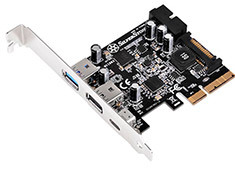 (normally $69) The SilverStone ECU05 is a PCI-E 2.0 x2 expansion card with reversible USB 3.1 Type-C and USB 3.0 ports. 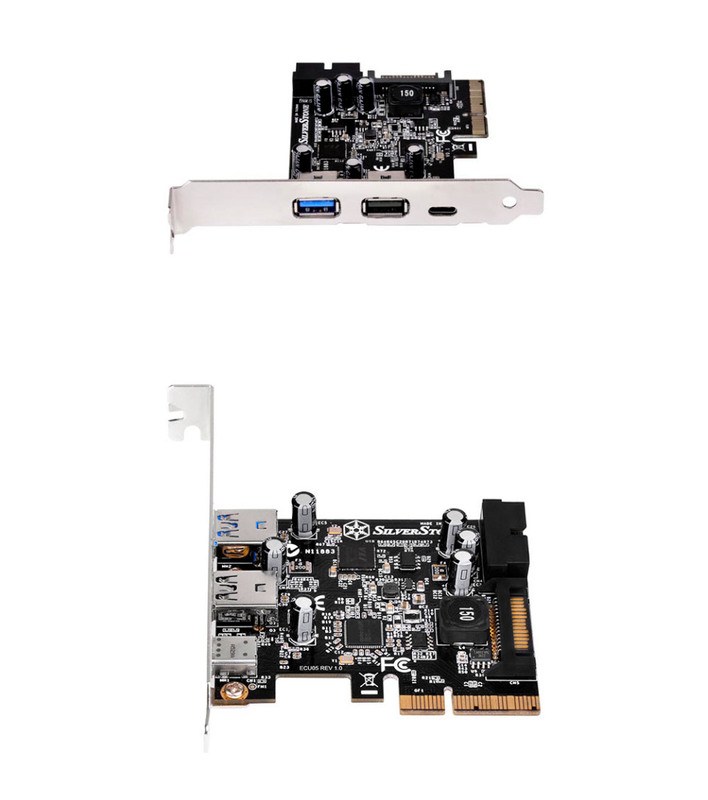 Its single USB 3.1 Type-C port is capable of fully utilising the PCI-E 2.0 x2 slot for up to 10Gbps bandwidth. ECU05 also has two additional external USB 3.0 Type-A ports and an internal 19pin USB 3.0 connector to provide your system with five total added USB ports. For fast charging, one of the Type-A ports (black) meets USB Battery Charging (BC) 1.2 standards to deliver quick and safe charging to your mobile devices. Finally, the ECU05 supports UASP (USB Attached SCSI Protocol) for enhanced performance, so operating systems with XHCI (eXtensible Host Controller Interface) can easily detect and install ECU05 without the need for any drivers.